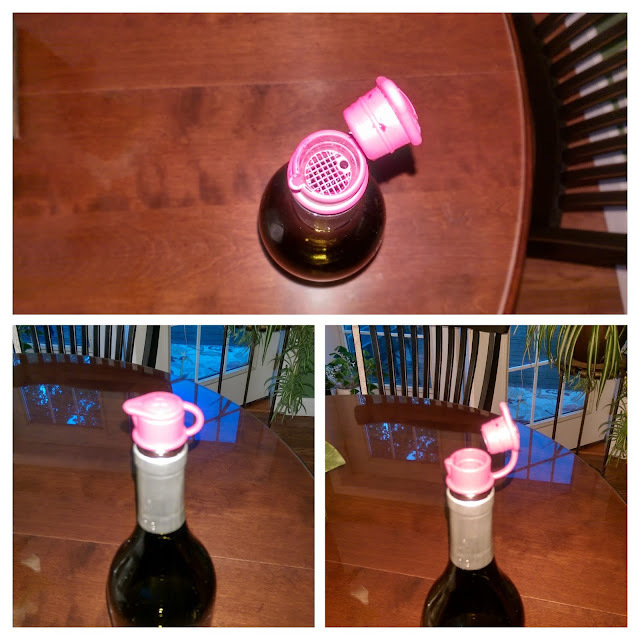 I bought four of these wine bottle aerator/filter/pourer/re-corker/stopper gadgets on my recent California trip. Most of the wineries were using these in their pouring rooms and I figured they must know what works well. I particularly like the aerator function, which gets some oxygen into the wine as it's poured, helping it to open up quicker.